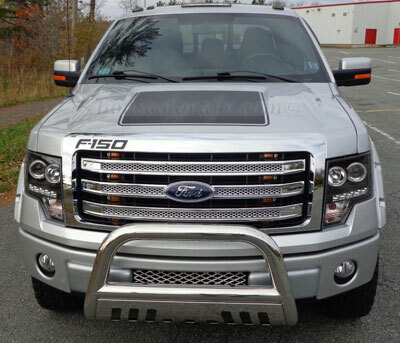 Dress up any 2008, 2009, 2010, 2011, 2012 or 2013 Ford F-150 without spending a fortune! You will receive OEM style graphics for both sides (driver & passenger). This is a solid, one color kit with no fade. 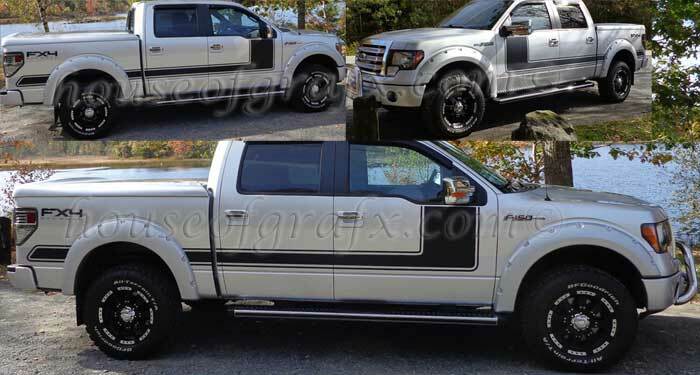 Will only fit F-150 models with a 144.5" wheelbase. Kit comes in 3 pieces per side. Minor trimming is required to install this kit. Door sections are made longer to "wrap" the material to help prevent edges lifting/peeling etc. *These are not OEM decals.